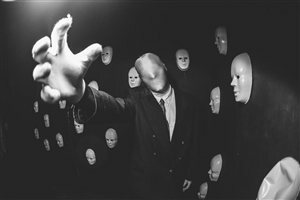 NewJerseyHauntedHouses.com recently sat down with Rob Conti of The Dark Carnival, to discuss what's new at The Dark Carnival for the 2016 Halloween Season! Located in the backwoods of Bayville, The Dark Carnival has been giving haunt-goers spine-tingling terror since 2010. The attraction is spread out over 8,000 square feet and gives thrill-seekers an intense atmosphere to journey through - that is, if they can make it all the way through! Can you escape with your sanity in tact? What's new at The Dark Carnival for 2016? Do you have any new rides, attractions, or special features that Haunt Seekers should know about? The one thing that separates the Dark Carnival from other attraction is the dedication of our actors. 75% of our actors have been with us for many years. They take their job very seriously and never break character. They take great pride in their ability to produce great fear in our customers and see it as a personal victory when someone cannot finish the attraction, has to leave early, or pees their pants. We have added some great props from the master designers at UNIT 70. What differentiates The Dark Carnival from other local haunts in New Jersey? Again, our tremendous actor motivation and dedication sets us apart. We are also located deep in the woods at BlackBeards cave, so they setting itself is quite ominous. How long has The Dark Carnival been in business? Can you tell us a bit more about The Dark Carnival's history? We opened in 2010 as a traveling haunt that has done events in East Brunswick, Freehold and even MetLife Stadium (Giants Stadium). We have now settled down in Bayville NJ because the size of our attraction has grown tremendously making it too hard to always move around. What's your favorite experience since opening The Dark Carnival? Opening the Dark Carnival took a lot of work and planning so just sitting outside and hearing the screams of our guests makes me feel great... seeing all that work coming together. 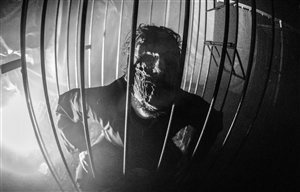 How long is a typical haunt experience at The Dark Carnival from start to finish? On a scale from 1 to 10, how scary would you say The Dark Carnival is? Why? 10.... just read our reviews. There is nothing like the Dark Carnival. Come down and visit us and you will see what I mean. Does The Dark Carnival's property have any real haunted history? Do you have a spooky encounter you'd like to share? No, but the Dark Carnival owns the most haunted house in America..... the SK Pierce Haunted Victorian Mansion in Gardner MA which we will be opening as a Bed and Breakfast and Haunted Attraction in 2017. Check it out on Facebook at SK Pierce Haunted Victorian Mansion or at skhauntedvictorianmansion.com. I had a terrible clown experience at Ringling Bros circus as a child when a clown tried dragging me on stage. Since then I have become fascinated with clowns... this combined with a love of Halloween.... and the Dark Carnival was born. How has new technology (i.e. 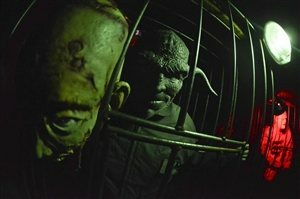 animatronics, special props, etc) helped you to enhance The Dark Carnival? Absolutely. We have worked with many of the top prop masters in the USA including Composite Effects, Gore Galore, Ghost Ride Productions, Night Frights, Pale Night Productions, Froggy's Fog, Dapper Cadaver, Unit 70 and more. We have been able to introduce some great video props that convert visual effects seamlessly into human actors. Can The Dark Carnival accommodate large groups? How many people can experience The Dark Carnival together as a group? Yes we can but like with any horror attraction, the smaller the group the better... there's no where to hide that way! Does The Dark Carnival offer any special deals, discounts, or coupons? We have lowered our super ticket price this year from $25 to $20. Anything else you'd like to let us know about The Dark Carnival? We have poured our heart and soul into this attraction. Come visit the Dark Carnival and you will be treated to a one of a kind haunted attraction. You will know you are somewhere special from the minute you reach the front gate and see our giant clown head.